SAN FRANCISCO (Hypebot) – There's an overwhelmingly large community of musicians on YouTube. This has been a really positive thing, as the amount of knowledge and skill amassed on this single website has really helped a lot of players in their own practicing and improvement. If you're in a band, you already know the power of YouTube as a great marketing tool. Using it for live videos, behind-the-scenes footage, and one-off covers are tried-and-true ways to connect to your fans. However, YouTube can also be an incredibly useful tool if you are a freelance or session musician. I’ve seen a lot of active session musicians using video content on YouTube as a way to drive traffic to their websites and attract potential clients. This, of course, also strengthens your web presence and makes your brand even stronger. Here's some of the smartest content that I've found active session musicians using for their YouTube channels. Covers, especially covers of songs that are popular, are a great way to demonstrate your chops and versatility. There are still plenty of big-name pop artists (especially in the pop-country world) that use high-level session players on their recordings; covering these tracks will allow you to bring views to your page, and help you see how first-call session players approach tracking their parts. Of course, you don't have to just cover popular songs. Anything you like to play can be recorded for a YouTube cover. 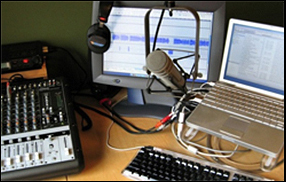 The key is that, whatever it is you record, record it with high-quality audio and video. The web is fairly saturated with low-quality bedroom covers, so it's important that you make yours as enjoyable to watch and listen to as possible. If you offer music lessons, doing it on YouTube is awesome because you can use it to promote your services. When you make a video lesson on something, make sure to plug that you give actual lessons and direct people to your website. This is especially useful if you teach virtual lessons over webcam, as anybody who sees your lesson on YouTube then has the option to immediately sign up for lessons with you. If you decide to make cover videos like I discussed above, there's a great opportunity for a lesson video as well. Any time you record a cover of something, record a second video that's slowed down and shows your fingers clearly. If you have the time and resources, I would also put the music onto paper in tab (since many guitarists on YouTube don't read standard notation), which you host on your website, and link people to it in the video description. Sure, it's quite a bit of extra work, but you can drive a lot of traffic to your website and get a lot of people interested in taking lessons with you. Potential clients, especially those that are looking to hire you for concerts, need to be able to see you play live. You should have a few live videos on your website, but your YouTube channel is a great place where you can host even more. When you're first starting out, it may be difficult to acquire video footage of you working with other artists. If you're having trouble finding this content, I'd recommend starting out by getting video of you working with your own groups. The next time your group plays a show, have one of your friends capture some video. That way you at least have something uploaded that shows you're capable of putting on a good show. There's a huge market on YouTube for equipment demos, especially ones that have high-quality audio. I know that when I'm considering buying a new piece of equipment, YouTube is typically the first place I go to hear samples of what the gear sounds like. You can keep this content coming out pretty consistently, as any piece of gear you own could be featured in a video. You could produce a demo of any amplifier, pedal, instrument, microphone, piece of recording gear, pickups, or literally any other sort of musical equipment. Don't forget that this is also a great chance to show off your playing. Play well, and somebody who enjoys it will likely check out your other videos. Whether it's a full-band recording, original solo arrangement of a popular song, or simply a rough sketch of a new piece you're working on, you should upload a video of you playing it. If you aren't working on any sort of original material, this would give you a great excuse to do so. Making a living as a freelance musician requires a lot of creativity, and this is a great way to show off that creativity to potential clients. You may even attract the attention of other players who want to collaborate with you, which is easy these days due to cloud storage and remote recording capabilities. There's nothing to lose with this method, so you might as well go for it!